John is an excellent real estate agent! He has excellent insight and really takes the time to work with his clients to find the home *they* really want most. There is no hard pressure sell to but *today* etc. But once you do choose the house you really want to go after, he is also excellent at driving the best deal possible. He has done an excellent job helping us buy 2 houses and sell 1. I highly recommend him with no reservations! John Stapleton has helped me sell 2 houses and I would recommend him to any of my friends who are thinking of either buying or selling a home. Both of my homes brought in the asking price and were sold in a short period of time. I really liked John's pictures of my homes and the website that he created to feature them to the public. I'm sure that John & I will work together in the future. John helped us through the process of finding a new home by viewing existing homes and new builds. Once we decided to build a home, he was very helpful during the whole process. We are very satisfied with the result that he delivered. John was just the kind of realtor we were looking for. Once hired, he inspected our house and then provided a list of items to repair or replace that would update our 13 year house making it more presentable to prospective buyers. Most of these were cheap and/or easy changes that we could do ourselves. For those items that we couldn't do ourselves, he provided us contact information for contractors that performed top notch work for a reasonable price. When the repairs were completed John spent at least a couple of hours taking professional quality pictures of house for flyers and a sign for the front yard. In the end we sold our house for the asking price in a fairly tough market in less that two months. John is an excellent realtor. He helped me find the right house and helped me through the entire process of building a new home. He was extremely patient and very knowledgeable. I never worried that I wasn't getting a good deal as John made sure he negotiated on my behalf. He even came to appointments with the contractor and made sure all aspects of the build were done correctly. John didn't stop helping at closing either, he continued to represent me at the one year warranty stage, again helping me to make sure all the repairs were made. I would definitely use him again if selling or buying and would highly recommend him to anyone I know. John has successfully helped me and my family buy our homes. All of us think the world of John and recommend him to everyone we can. My favorite story about John is when I purchased my current home. I wanted to buy a little larger place but he knew I would be stretching myself financially. He talked me off the ledge of financial stupidity and got me into the absolutely right house for me. It is not every day you have a realtor look at what is best for his client versus the commission he could have gotten. Thanks John!! Your wisdom is one of the main reasons I have made it through the economic downturns and still have a place to call home. It is a pleasure to recommend John for all your realty needs. I have known John since 1992 and have bought and sold all our houses with John. He's wonderful to work with and has become part of our family throughout the years. We recommend John to all our friends and family. He's the best! John is a super trustworthy individual that is extremely creative. In a significant RE downturn he sold one of our houses on a very busy corner in 2 days!, when the average on market was over 6 months. SOLD in 45 minutes. Not even kidding. John handled the sale of my mothers estate after she passed away. Needless to say, this was not something I wanted to be doing, nor in frame of mind to handle. Well, John knew exactly what to do. He was extremely knowledgeable of the legal process. He gave us his marketing strategies. They were unique and they worked. Pricing, photos, detail and knowledge to get the pricing right the first time. At closing, I couldn't stop raving about John. He is not just a realtor, it's an experience that you will share with all of your friends. John is a real professional with a good eye for detail. He's a creative thinker and a hard worker with good people skills. John helped me through the process of buying my first property. I was certainly not the easiest person to get through the process, but John stuck with me, made sure I got the best deal and fought to the end for me. I would highly recommend him to anyone, especially first-time buyers or anyone who is particularly interested in the Austin market, since he's been here a long time and knows the territory well. John is a high energy creator who sees things the rest of us miss. He uses his innovative approach and unique perspective to highlight the best attributes of your property, demonstrating that special value that is lost to the casual observer. John came highly recommended by two colleagues at work who used his services to sell/buy their houses. He did a heck of a job promoting and negotiating the sale of our house in Hill Country, and then negotiating the purchase of our next house in Legend Oaks. Great guy, with a lot of useful contacts and tons of good advice! John was our neighbor when we lived in Cedar Park. When we suddenly had to sell our house due to an out-of-state job relocation we went right across the street and talked to John. He spent a significant amount of time with us, talking about what we wanted, what would help the house sell, and making some very creative staging recommendations. Being a wonderful photographer, he also took incredible pictures of the house, which brought several immediate viewings and prospective buyers - as did his "ugly sign" for the Open House. We sold our house in just 10 days in an unstable market! We highly recommend using John to sell your home. He is personable, professional, and creative. Selling with John gets results! Talent, hustle, insight, advice, trust, fun... All while arguably handling one of the largest transactions in your life. John's niche is not a specific slice of the market, his niche is people, and the unique perspectives / needs that we all bring to a real estate transaction (buying or selling). Work with John and you will not be disappointed. John embodies Austin - he's relaxed but competent and has a great sense of business with an artistic side. I have enjoyed working with him and can't wait for him to find our dream home for us. John sold my house the 1st day it was on the market. He took amazing photos of the house, helped us price the house right, set up a great open house, and we got 2 offers that day. There was an issue with the house's foundation and John recommended full disclosure, which was the first clue to his high integrity. I also liked that John only answered calls at a certain time each day so that he had time for his family. Good friends of mine recommended him and they were highly satisfied with both buying and selling their houses. I highly recommend this man if you are buying or selling a house! John did a top notch job for us and I would highly recommend him to others. I knew John socially and recommended him to a friend who was looking for a new home. John is a very professional realtor but much more than that, he really cares about his clients and will move heaven and earth to assure a positive outcome. This particular friend was never the easiest person to work with and I warned John of that, but he managed to work through everything to a perfect solution. I'm not sure any other realtor would have had the patience to do so. The reason so many of John's clients become his friends is that he treats everyone as though they already are. Vice President - Eckert Insurance Group, Inc. I've know John for over 10 years and recommended him to one of my best friends to sell his house. My friend could not have been happier with John who was able to sell the house quickly for the price wanted! I've known John Stapleton for over 4 years and have personally worked with him on two real estate purchases. On both occasions, I felt John was looking out for my family's best interests and his focus was on finding the right fit for us rather than on what may be in it for him. I look to John not only to find a property but to help in the process with recommendations and feedback. Our last transaction was a construction project* and John was available and present at the meetings with the Superintendent and Inspectors. I would simply look over at John during these meetings when I was looking for guidance and he would simply nod or shake his head to reassure me or provide some guidance. He was also very detailed and very vocal on our behalf which is extremely necessary when dealing with real estate transactions. I trust his judgment and have confidence in his expertise, I look for what he has to say and I call on him with my questions and doubts. John will continue to be the real estate expert I depend on and I would recommend him any time to my family and friends. John had been recommended to us by someone from our church. He was our agent when we purchased a home for our oldest daughter as well as was our agent when we decided to finally sell the home. He also was the agent for our younger daughter and her husband when they purchased their first home. My husband and I have been very impressed with John and would not hesitate to recommend him to others. John is a fine example of the best in his industry, and quite a photographer also. I first met John in 1997 as my wife and I were looking for our first house. He patiently took us on that journey that first time homebuyers go through. This is a journey with every kind of house and every possible financial solution. Because when you are buying your first house, you are dreaming big. He is an artist in his heart and he wants you to have beauty at the end of your journey. We ended up with a beautiful home with a pool on a half-acre and raised three kids. He helped us buy our second home and he was instrumental in negotiating a better deal from the builder. All of my neighbors are underwater on their homes. We are in a beautiful, custom built, HOA managed community. We remain extremely comfortable in our new house because of his excellent advice during the negotiations for the new home. We have maintained ownership of our first home and have successfully used it for a rent home for some time. We are now preparing to sell it. Once again, John is the only person I would have handle this business. If you were to buy or sell a home anywhere in the Greater Central Texas Area, I would call John Stapleton. You could not have a better guide on your journey! I had the pleasure of working for John seven years ago. John is a very talented and hard worker in all aspects of his life including owning his real estate business, as an artist and loving father and husband. I enjoyed assisting John in each one of these areas and was able to see his loyalty and dedication to do what he enjoys. He is able to blend all of talents to create a fun atmosphere for work and his hobbies. As an example, John uses his creative artistry to create monthly postcard calendars and greetings that he sends to his clients and friends. I enjoy reading about his business adventures and family when I see these hanging at my parent’s home. John assisted my parents in buying their home six years ago. They appreciated how simple he made the process and his dedication to finding them the perfect home. If you are in the market to buy or a sell a home I would highly recommend using John. I am very impressed with the thoroughness and creativity that John brings to his real estate profession. His creative style is reflected in his marketing literature, web presentation, and unique methods of creating demand. I would highly recommend him to anyone looking to buy or sell a home in the Austin area. John is a very unique realtor. He takes the time to really learn what his clients needs are. The clients best interest and needs are his focus. He has an artistic view that really makes his listings sell online, long before a home buyer walks in the door. His clients are always referring back to him as a resource after the sale because he surrounds himself with reliable and trustworthy professionals. His focus on his customers and referrals is something that everyone could learn from. John sets your house up to sell at the right price. He's honest in telling you what that price should be so your expectations are correct and you can actually sell the house. John gives you the hard feedback you need to improve your house so it will actually sell. John takes excellent pictures so that you get the traffic. I will be using John on all of my future house buy/sells. You should too! I have had the pleasure of knowing and working with John for over 13 years. John has always impressed me with his unwavering priorities of kids/family first, then the needs of his clients second and his own personal and economic needs a distant 3rd. He is a fantastic father to his kids, and I've always respected and been impressed with how he fits his work/career around the top life priorities - I guess that's what makes him so grounded and solid in his integrity and commitment to what is best for his clients, even if it means talking someone out of buying a home. As a Realtor, that is very rare! I totally trust John and would not ever hesitate to recommend him to anyone for real estate advice. His knowlege of the Austin area market is vast and as a real estate Broker, he is totally trained on the finer points of negotiation and contract law. John is one of the very few, cream of the crop Realtors in the entire Austin area that do things the absolute right way! John is the owner of his Realty business and an outstanding speaker at our networking seminars. John believes in personal attention which prompted us to contact him in regards to our search for an investment property. I was fortunate to have been referred to John when I was looking to buy my first home. He walked me through every step of the process--from the first meeting to the closing. John is a great listener and a straight shooter, and he adds a personal touch that I think most realtors lack. He has your best interests at heart. I intend to continue working with John when I'm ready to buy my next home. I've worked with John twice -- in the purchase of my first home and sale of said home 5 years later. 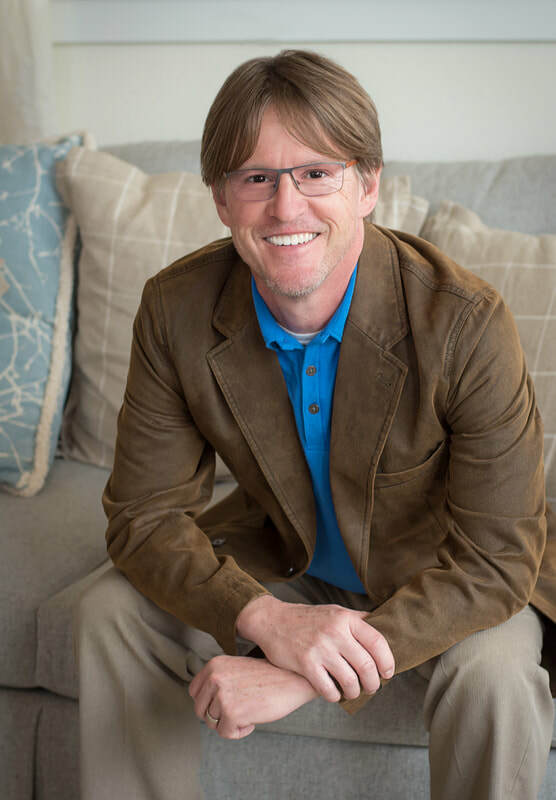 John knows the real estate business and the Austin area like the back of his hand, he's informative and a great communicator, his ethics and business practices are top-notch, and he went above and beyond the call of duty more times than I can count. John sold the house to us ten years ago and we went back to him when it was time to sell. He is the best realtor in Austin and the best that we have seen. Will tell the truth no matter what. True professional and great example for his trade. A really good person who goes the extra yard to close the deal. Thank you Shawn! It is always a pleasure helping y'all! John sat down with me to get to the root of my buying needs at the beginning. He gave me the good and the bad in every situation. His knowledge base goes far beyond his profession. Thanks Nikki! It has been a lot of fun working with you so far! Having the opportunity to work with a professional is always a treat. John goes the extra mile to ensure your expectations are exceeded. You will not find another agent the has the artistic abilities coupled with photography expertise wrapped in a bundle to serve you. You will forget he is a relator and want him to tackle your decorating and photography for any of your projects. John is truly an amazing professional. But please don't completely forget that I am a Realtor! We hired John Stapleton to help us sell our home and buy our dream home. John sold our home within 24 hours of putting our home on the market. He was very professional. His knowledge of showing our home was amazing. He set up the house on the market perfect, he gave us tips that would help but was always conscious of our needs. After we sold our home and was looking for our new home, he asked the right questions to help us decide what we wanted in our new home. We decided to build and John was always present. He help negotiate price and upgrades I would have never thought of when building a new home. He was present and had knowledge in helping us from decorating, to picking out brick, gave us tips on the design of the house. John is very knowledgeable, He has the utmost integrity, he is genuine and sincere in providing a great service to his clients. He is respectful and treated everyone we came in contact with honor and dignity. He was very professional. He was always present when we had a phone call, email or needed to meet with him. I would highly recommend John Stapleton to anyone I know. He does an amazing job. Thank you Priscilla. It was a please serving y'all. I hope your new home is everything you dreamed it could be and that your family is blessed abundantly. I have worked with John for years. He is a professional, stand-up realtor, and I would recommend him to anyone. We have bought and sold with John and wouldn't do it any other way! He is thoughtful and purposeful. Plus his for sale signs are great! John is such a joy to work with. He not only is extremely knowledgeable about the current market, but is so willing to go that extra step to help make sure our property is presented in the very best atmosphere. He has attended every realtor meeting with us and on many occasions has given us excellent support when situations have been misunderstood between us and the builder representatives. I would recommend John's company to everyone without hesitation. Thanks for the kind words Carolyn! It has been my pleasure. John really took the time to understand our house and our needs - while continuing to stay flexible with market demands. He understood inherently what would appeal to a buyer - the RIGHT buyer for our home. He advised us wisely when we had offers, ultimately leading us to the right buyer for our home. He had amazing insight on what could help us successfully position our home, and he understood our timeline and was more than patient when I was not - helping me see the bigger picture. It was an amazing experience working with him, and I would do it again. Our move from Florida to Texas went so very smoothly in large part to the knowledge, experience and attitude of our Realtor, John Stapleton. There was no part of the moving process that John wasn't a part of. His energy, thoughtfulness, and local area knowledge made the process infinitely simpler. I would highly recommend John Stapelton to anyone in need of buying or selling their home. John helped us sell my parent's home which we had inherited. His excellent advise probably saved us thousands of potentially wasted dollars. John advised us when best to list the house and also suggested that we sell it "as is" rather than sinking a lot of money into updating it. The photos he took to market the house were incredible and really put it's best features front and center. We got offers the very first day he put the sign in the ground. (Even his signs are exceptional, large and sporting large photos of the property, not his face). He is very professional and caring. Buying or selling, I would wholeheartedly recommend him to anyone who needs a good realtor. John is very knowledgeable about the Austin real estate market, and was willing to do whatever it took to see that our transaction got done. When a lengthy repair list was turned in by the buyers of my house, he helped line up the contractors. When I couldn't figure out how to drill a weep hole on that repair list, he brought his ladder over and did the maintenance himself. When the bank gave an insanely low appraisal, he reduced his commission amount to help bridge the gap between the appraised amount and the final price. Most of you won't have to deal with issues like this in your real estate transactions, but if you do, you want a company like Focus Realty to walk you through all the trouble that may be out there.Most of you won't have to deal with issues like this in your real estate transactions, but if you do, you want a company like Focus Realty to walk you through all the trouble that may be out there. John did an excellent job selling our house. We had to move quickly for a job in a different city and John helped us get out house ready and sold quickly. He went out of his way to make sure that our house was in great shape to put on the market and did a fantastic job of getting people in the house to look at it. We were very happy with the sale price and the process of selling the house. We would absolutely recommend John! John sold a house for us. He's intelligent, rational and was able to quickly help us set a price, stage the house and sell it quickly. I'd hire him again. John Stapleton's photography is the absolute best that I've seen related to real estate in Central Texas. This really matters when listing your house, not sure I can testify for everyone, but like most I tend to review photos on the MLS prior to making my list of homes to view. So if your looking to put your house on the market you need to get in touch with Mr. Stapleton. On the other side if you need an agent to represent your purchase he is also the realtor you want on your side. With his attention to detail he tends to point out the pros and cons on each and every home. This helps to make an educated decision with such a large investment. Thanks for what you do! We worked with John Stapleton of Focus Realty when we started thinking about selling our house. John spent a lot of time with us and really gave us his full attention to understand our goals. He went through our house with us very thoroughly and helped us make good decisions on what upgrades would increase the value of the home and give us the biggest bang for our buck. He is very knowledgeable about what is current and trending. John also did a great job of focusing in on what we wanted in the home we would buy after selling ours. He was able to give us a steady stream of houses to look at that fit our criteria. I would definitely work with John again and will gladly and comfortably refer him to all of my family, friends, and co-workers. I was referred to John Stapleton (Focus Realty) by a coworker in 1999. He has been my realtor since that time. He held my hand through the process of purchasing and specifying the details of a newly built home, while also selling the old house. He was able to find me a buyer at a price I could live with, without having a lot of showings (which was kind of necessary for me, at the time). So, naturally, when I was ready to sell that second home in 2010 I turned to him once again. He has a good network of people he can refer one to for services to make a home ready to sell, and he knows a vast amount of information about what needs to be done to sell your home. But, his biggest asset may well be his photography skills. He has the ability to show your home in the very best light and can make any home look like a castle! I have one of his framed prints on the wall in my dining room at this very moment! I would wholeheartedly recommend his services to anyone looking to sell a home or in need of photographic services. We have worked with John for the past 20 years. We have bought and sold three different property with John as our Realtor . John is so professional and so knowledgeable. He goes above and beyond to help his Clients. I have and will continue to recommend John and Focus Reality to my friends,family and colleagues.